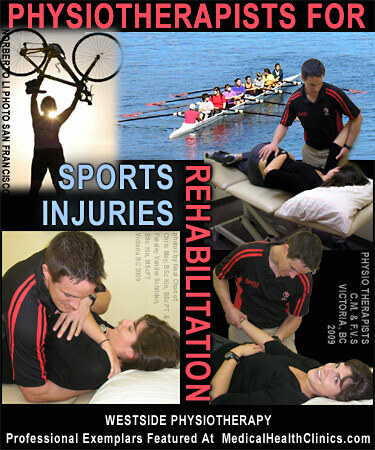 Physical Therapy aka Physiotherapy Clinics: what is physical therapy / rehabilitation? What does a physiotherapist / physical therapist do? Vander Schilden has a history of competitive rowing, e.g. "8s" such as pictured in the photo above. Note: the clinic is located beside Victoria's Gorge area (near the Bay St. Bridge), where rowing teams often practice and compete in e.g. Victoria's annual corporate rowing challenge. Sample References for Physical Therapists in U.S.A. 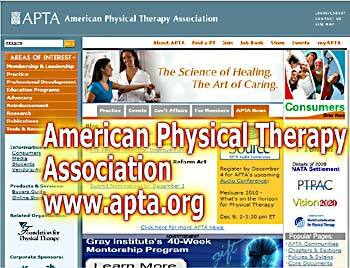 In the U.S.A. Why choose a Physical Therapist? What Can They Do? Physical therapists apply research and proven techniques to help people get back in motion. All physical therapists are required to receive a graduate degree - either a masters or a clinical doctorate -- from an accredited physical therapist program before taking the national licensure examination that allows them to practice. State licensure is required in each state in which a physical therapist practices. They are trusted health care professionals with extensive clinical experience who examine, diagnose, and then prevent or treat conditions that limit the body's ability to move and function in daily life. More and more physical therapists are now graduating with a Doctor of Physical Therapy (DPT) degree. More than 92 percent of the 210 accredited academic institutions nationwide offering professional physical therapist education programs now offer the DPT degree - and more than 75% of all 2008 PT graduates hold a DPT degree. Physical therapists diagnose and treat people of all ages [emphasis added], including newborns, children, and elderly individuals. They may consult and practice with other health professionals to help you improve your mobility.